We are in the final stretch! The painters should be at the house getting everything painted and stained this week. Then we can get the marble installed, light fixtures, plumbing fixtures, a garage door, appliances installed, fireplace stone and tile installed, and a driveway poured. Whew! 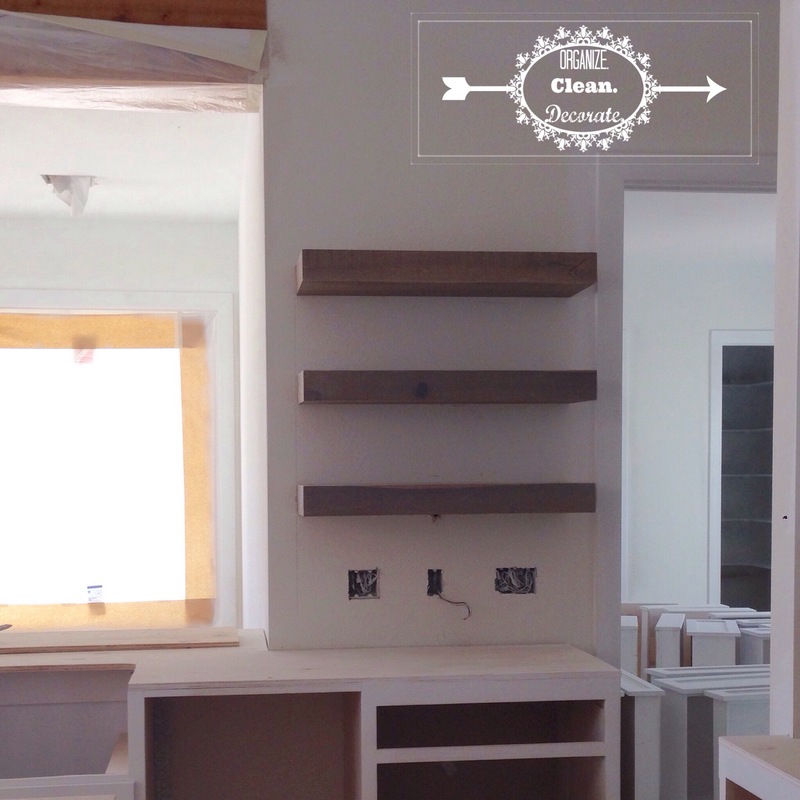 Our carpenter (aka my father-in-law) has been hard at work getting the cabinets finished up and installed. 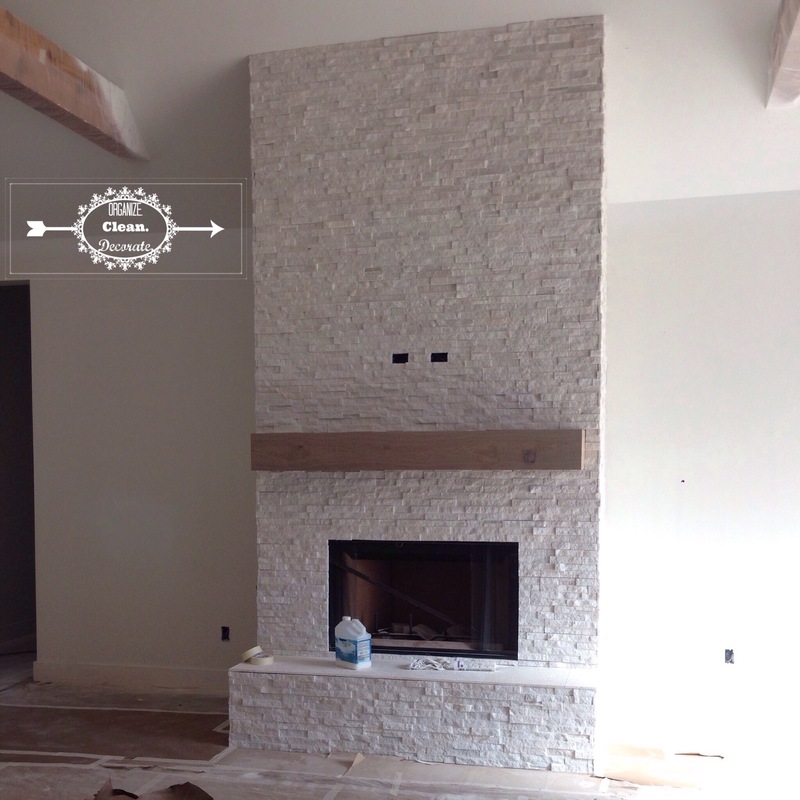 Our mantle and fireplace stone were even installed last week! If everything goes as planned (when does it ever, though) the house could be finished in 2-3 weeks! Very exciting for this family who gets up at 5:30-5:45 every week day to get to school on time! We’ve had to cut back on extra curricular activities, so it will be good to have a little more time each day, with less driving to do. Not to mention being back in our town! We miss living in our little country town!